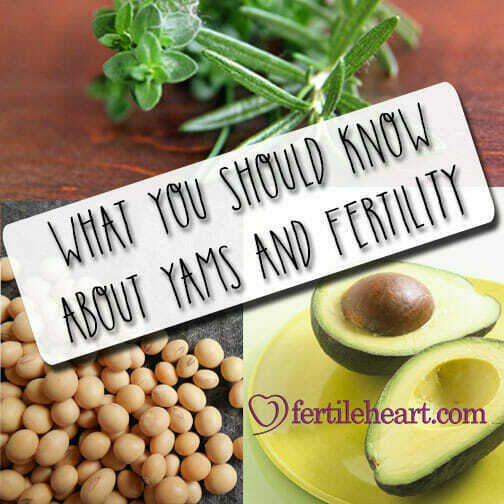 3 Things you should know about yams as a fertility food. An often quoted study on the Yaruba tribe in Nigeria, a group of people with a high rate of twins, links their fertility with high consumption of yams. The study conducted at the University of Ibadan, found that one in every four pregnancies (rather than one in forty which was true for the general population) resulted in fraternal twins. Yams (Dioscorea) belong to the tuber family and are similar to American sweet potatoes. True yams contain phytoestrogens, weak estrogens that will inhibit the body’s own estrogen production in women who are estrogen dominant. Yams also contain a form of natural progesterone (dioscin). With women suffering from endometriosis and fibroids, both of which are linked to estrogen dominance, the phytoestrogens and progesterone like properties in yams can help regulate the estrogen progesterone balance. 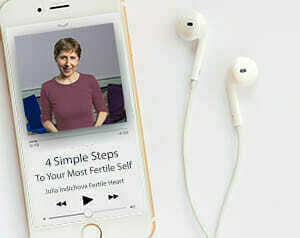 The natural progesterone in yams can help extend the luteal phase in women whose corpus luteum doesn’t produce enough progesterone causing early menstruation, or the so called luteal phase defect (not a term that is part of the Fertile Heart glossary). The phytoestrogens in yams can counteract the effects of estrogen on the cervical fluid and make it too sticky for transport of sperm. They can also thin the endometrial lining, similarly to Clomid. So yams should only be eaten in the first half of the menstrual cycle. After ovulation you want to say no to your cravings for yams. Although similar to American sweet potatoes which are wonderful health and fertility enhancing foods, true yams are usually found in markets that specialize in African or Caribbean foods.